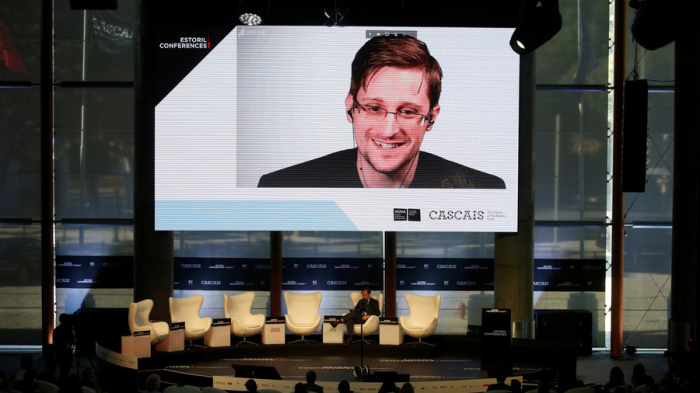 Edward Snowden is expected to speak via video link at a closed conference held in Israel. The event, which expects to hear Snowden touching upon US spying on Israel, will be joined by a former top Mossad official. The NSA whistleblower is set to speak through a secure video system from Russia, at a conference organized by the local media consultancy company OH! Orenstein + Hoshen. He is expected to cover the issues “relating specifically to Israel” at the November 6 event, Israeli media report, speculating that this might involve the instances of the US snooping on Israeli officials. “Snowden is a fascinating figure because his actions are so controversial. We have no intention of expressing support or an opinion on what he did. The audience will hear what he has to say, can ask tough questions and people can work out their own opinions on the matter,” the company said in a statement issued to the media. The participants, including Snowden, have been approved by the Israeli security officials including the military censor, the Israeli news service Arutz Sheva reported. Snowden’s remarks are to be followed by a “response” from Ram Ben-Barak, the former deputy chief of the Israeli intelligence service Mossad. Ben-Barak headed the Keshet division, responsible for gathering intelligence data through electronic means, and held the position of the Intelligence Ministry and Strategic Affairs Ministry director general. Some media reports also suggest that the current Mossad leadership will also be present at the closed event. Snowden, who worked as a private contractor for the NSA, leaked a trove of documents in 2013 that revealed an extensive surveillance program run by the US intelligence, which involved spying on numerous foreign countries – including US allies. He also notably revealed the NSA was collecting sensitive data on hundreds of millions of people, including the US citizens. Ever since getting stuck in Moscow after his passport got revoked, Snowden has been living in Russia, where he was eventually granted a residence permit. Some of the documents obtained by Snowden revealed that the NSA and the British intelligence service GCHQ have spied on Israel. This provoked an angry reaction in Tel Aviv, as Israel’s Prime Minister Benjamin Netanyahu said at the time that such things are “unacceptable” and “must not be done” between close allies. In 2016, another leak showed that the two agencies had been spying on Israeli air force’s operations for at least 18 years, while the British secret services have been spying on Israel’s diplomats, defense firms, and militarary.